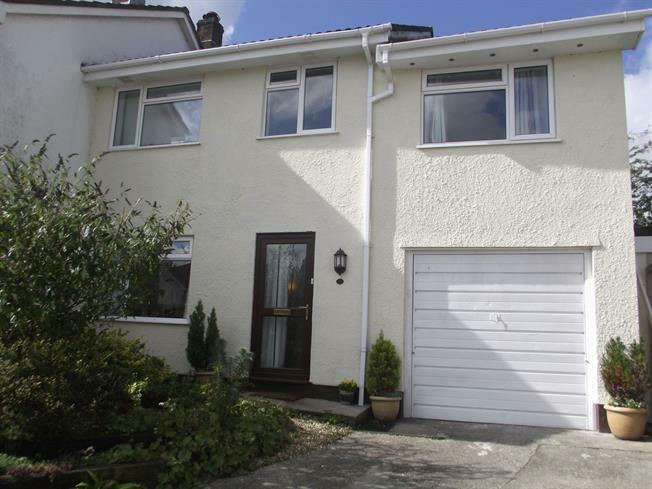 4 Bedroom Semi Detached House For Sale in Liskeard for Asking Price £225,000. Four bedroom semi detached house which is very well presented situated in a popular village location. The accommodation includes three double bedrooms, one single bedroom, master en suite, dressing room, living room, kitchen/diner, utility room and shower room. UPVC double glazed windows and oil fired central heating. Integral garage with parking in front for two cars. Tiered gardens which are well maintained. 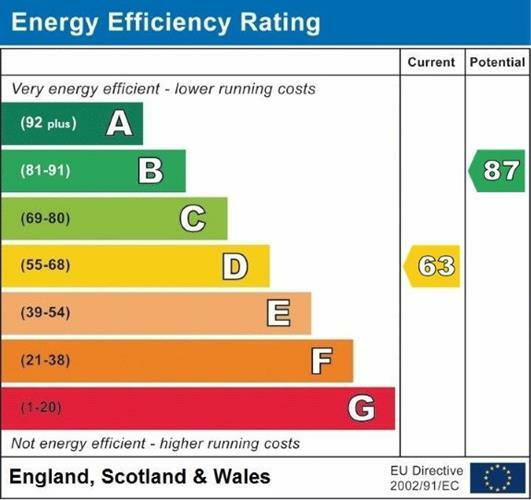 New cavity wall insulation added in January 2014 and new loft insulation added in June 2014, both since previous EPC. Access to the living room. Stairs rising to the first floor. Light and airy living room with double doors opening into the kitchen/diner. Chimney breast currently boarded but can be put back into operation. Window facing the front. Modern kitchen with fitted wall and base units with roll top work surfaces and an inset sink. Integrated appliances include a fridge, dishwasher, electric hob and oven. Sliding patio doors leading onto the garden and a door leading into the utility room. Window facing the front. Base units with roll top work surfaces. Space for white goods. Wooden stable door leading to the garden and further door leading into the garage. Window facing the rear. Access to four bedrooms and the shower room. Loft access which is partially boarded and has light and power. Spacious double bedroom with a window facing the front. Access the the dressing room area and en suite. Modern suite including a walk in shower, low level WC and wash hand basin. Radiator. Connected to the master bedroom, window facing the rear. Double bedroom with a window facing the rear. Double bedroom with a window facing the front. Single bedroom with a window facing the front. Walk in shower, low level WC and wash hand basin. Obscure window facing the rear. Tandem parking in front of the garage for two cars. Well maintained two tier garden with a decked area in the top corner.